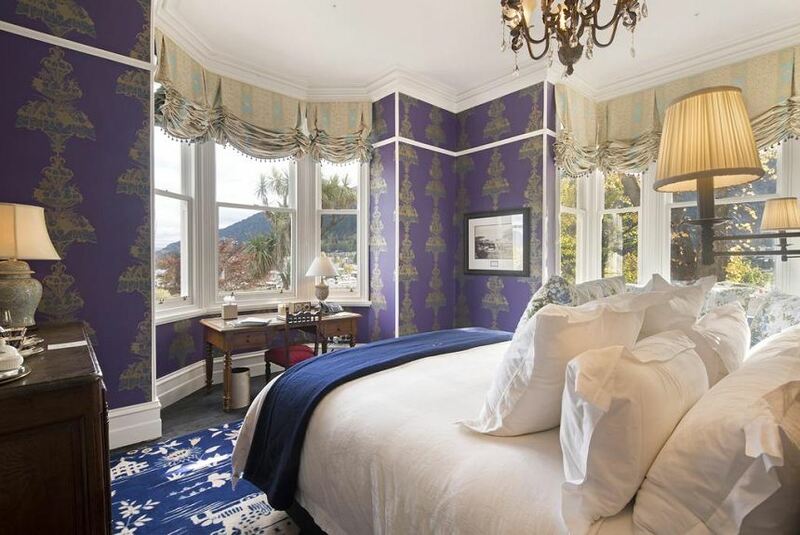 Hulbert House is a beautifully restored Victorian villa located just 500 m from the center of Queenstown. Guests receive free WiFi and secure on-site car parking. Hulbert House has 6 luxury suites all individually decorated and furnished, with views over Lake Wakatipu, Skyline Hill or the beautiful garden. Each suite features quality Hungarian goose down bedding, Egyptian cotton toweling and bathrobes. Each suite also has a commercial grade coffee grinder to go with freshly roasted coffee beans. Guests can enjoy a full breakfast each morning, including homemade sourdough bread, raspberry and chia seed pots and free range bacon, eggs and a variety of other delicious items. Snacks are also available during the day and pre-dinner canapés and drinks are also provided. Hulbert House is within walking distances of Queenstown’s vibrant cafes, shops, and restaurants. It is 500 m from the shores of Lake Wakatipu and an equal distance from the Skyline Gondola and Luge base.